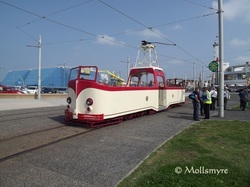 When you think of Blackpool you will no doubt think of Sand, Sea, Kiss me quick hats and possibly horrible weather, But the one thing that will be remembered for years to come is The Trams. 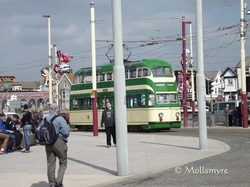 Although through the years, for better or worse Blackpool has changed a lot, even the trams. 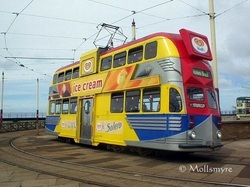 The new fleet of Ultra modern Trams have given Blackpool a whole new look, But fear not lovers of 'Real Trams'. 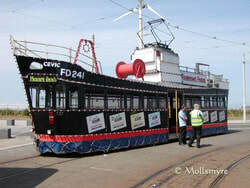 The Heritage fleet still operate on dates throughout the year.